Application:As composed of three-stage precise filtering, this machine is an ideal portable oil purifier, which can remove the big and tiny impurities effectively. The product is equipped with three-stage purification, portable, easy to operate, very low price, no need of purification paper, no contamination to the ground. 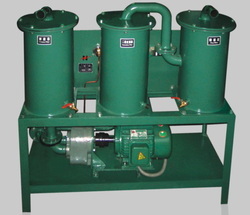 The product can effectively purify the tiny and fine mechanical impurity min oil, enabling it to be a prior choice of power industry, petroleum, chemical, metallurgy, mechanics and railway for oil filling, oil drawing and high precision impurity removal of mutual inductor, lathe, and oil breaker which do not use large quantity of oil.